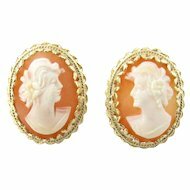 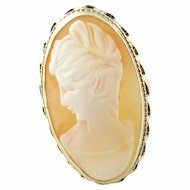 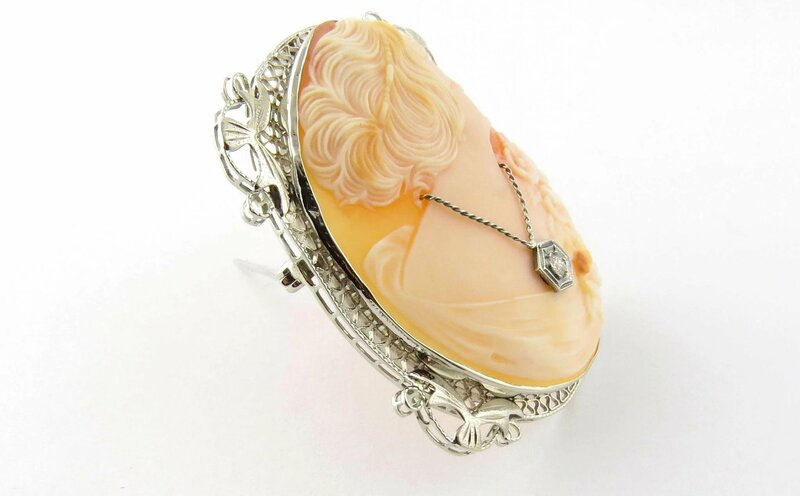 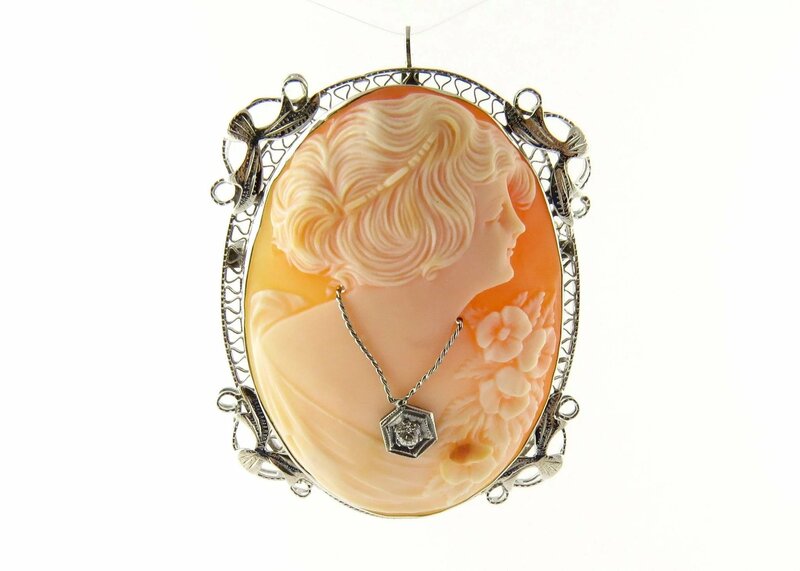 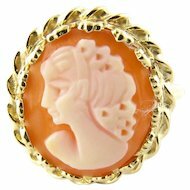 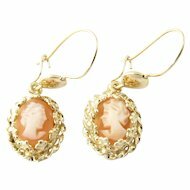 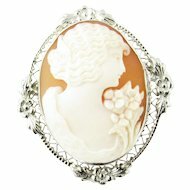 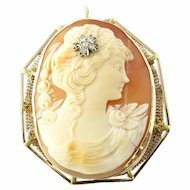 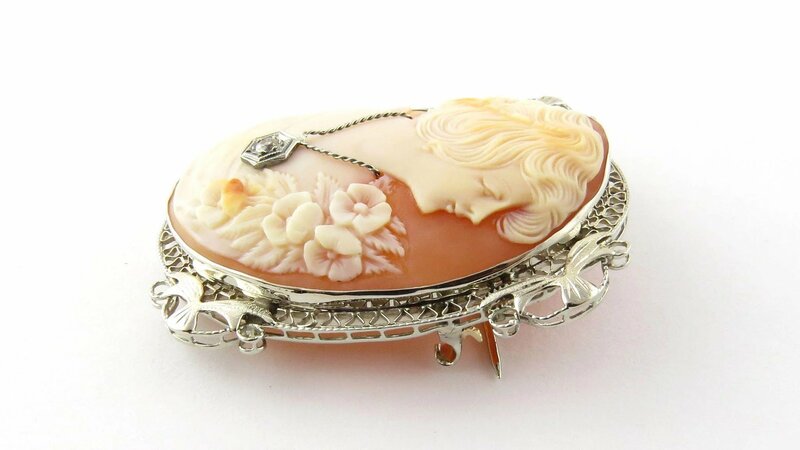 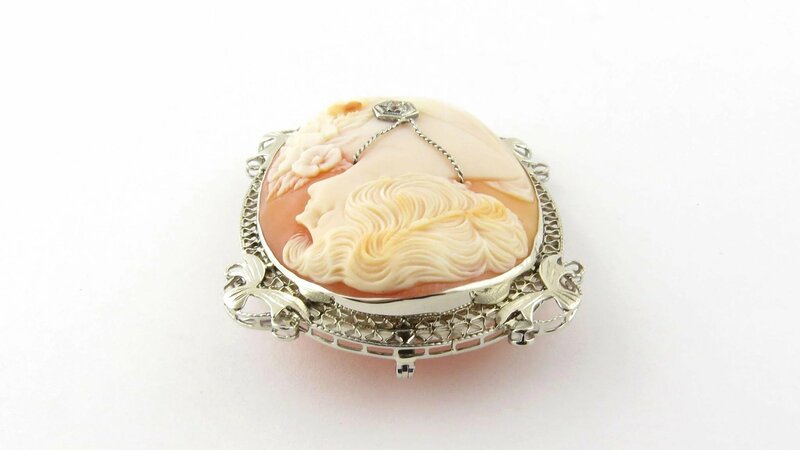 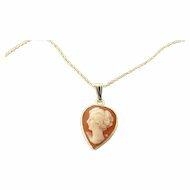 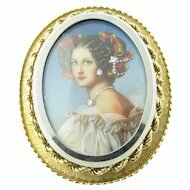 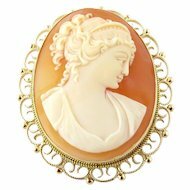 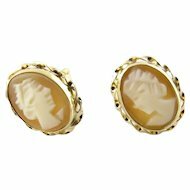 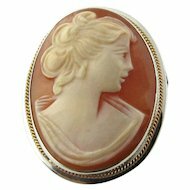 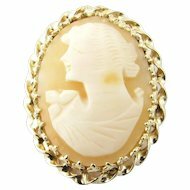 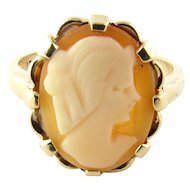 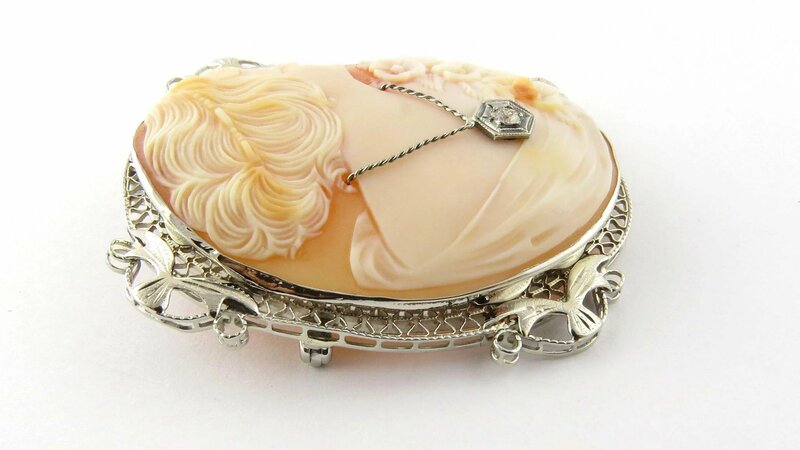 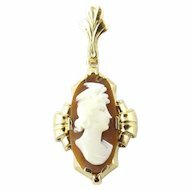 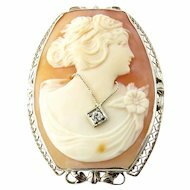 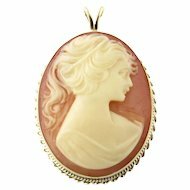 These stunning cameo features a lovely lady in profile accented with one European cut diamond and framed in delicate white gold filigree. 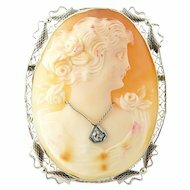 Approximate total diamond weight: .03 ct. 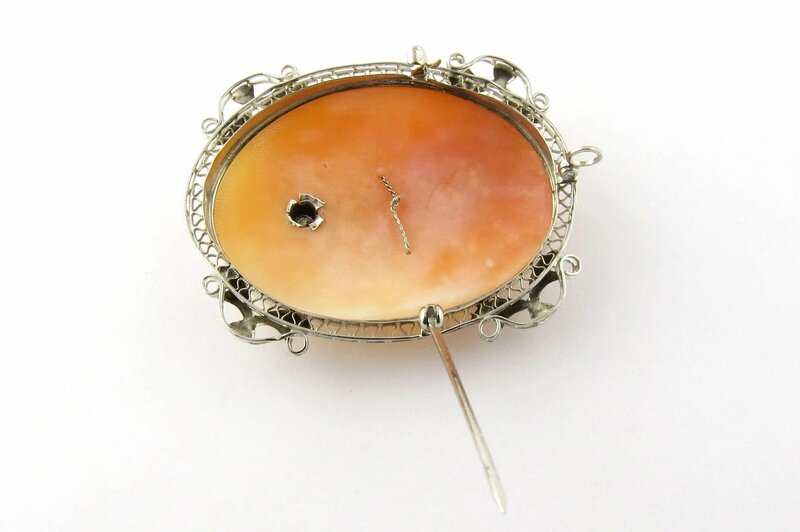 Weight: 6.4 dwt. 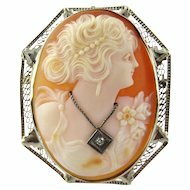 / 10.1 gr.